You often associate sibling harmonies with melting voices but as you would expect from Larkin Poe, they take the concept a step further. The Lovell Sisters, Megan and Rebecca, are steeped in the tradition of collaboration but this latest phase of their career is based around the instinctive nature to blend guitar playing into a wonderful entity of southern roots rock. 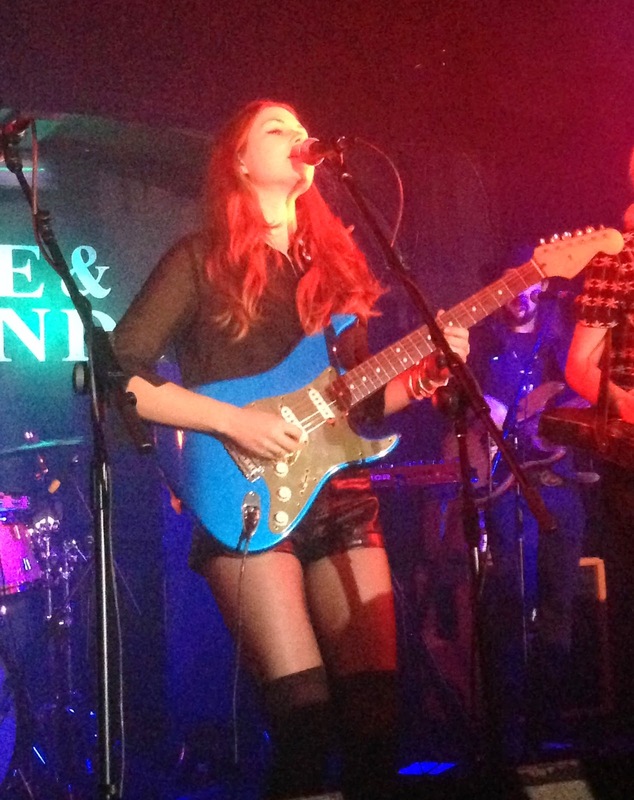 The chemistry from their onstage liaison radiated right around a healthily packed Hare and Hounds venue as the girls turned up the volume to thrill an audience curious to what direction the band were taking. There was a hint of what to expect when Larkin Poe toured in 2013 and a few of the rockier numbers from their set then have surfaced on the new album. The wider world will have to wait until the end of August to gorge on the absorbing sounds from KIN but those able to get to the interim shows can purchase the CD and savour live ten of the tracks in all their amped up glory. The band’s 90 minute set was more Birmingham Alabama than Birmingham UK, although technically the music has grown from the girls home city of Atlanta Georgia. The phrase ‘swampadelic rock’ has been coined to define the sound and it’s not difficult to visualise the tunes blasting out from a southern dive. 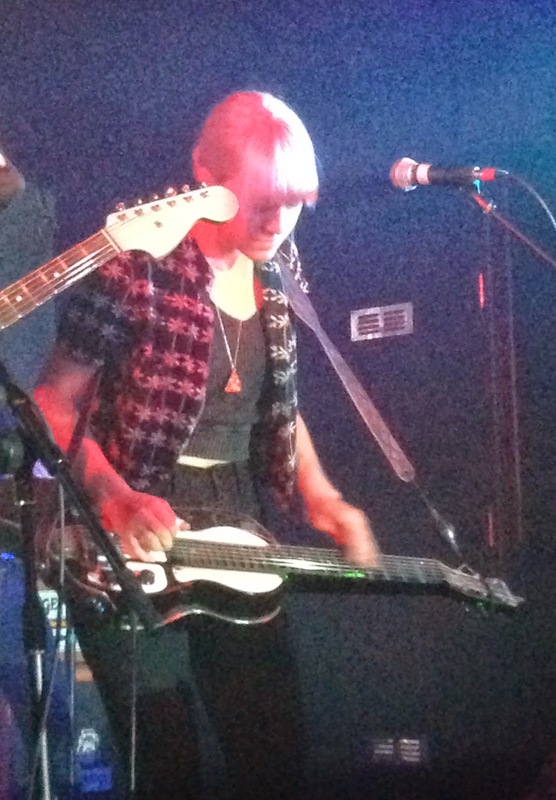 Larkin Poe have retained the same four-piece line up from the previous tour with Robby Handley (bass) and Marlon Patton (drums) holding fort while the sisters unleash their guitar playing talents and vivacious onstage appeal. Rebecca is a livewire performer, never settling on acoustic, electric and mandolin but always excelling. In contrast there is a reassuring consistency from Megan who is the architect of some stunning lap slide guitar interludes. Rebecca often leads the vocals and there was a notable blues tinge to them this evening to match the groove emanating from the band. Those present with little prior knowledge of the girls had a short insight to what they are also capable of with the encore version of ‘Take Me Back’. This was presented by two sweet voices, one acoustic guitar and a single mic. Perhaps a sign that we haven’t heard the last of the Lovell Sisters signature sound. However tonight was all about the present and a multitude of scintillating songs such as ‘Jailbreak’, ‘Sugar High’ and the upcoming new single ‘Don’t’. All these feature on KIN as do two other songs which sounded great on first listen ‘Crown of Fire’ and ‘Elephant’. Although an old favourite from their past shows, the southern gospel number ‘Wade in the Water’ rivalled any new song as the gig’s major highlight. A Larkin Poe show is not complete without the anecdotes, humour and lively banter as we especially were reminded about the complexities of their family history. ‘Mad as a Hatter’ is based on their slightly unstable grandfather while a new song ‘Jesse’ completes an unfinished historical family story of a relative confronting his children with a gun. We also learned of Rebecca literally glowing about a resumption of opening for Elvis Costello in an upcoming show. 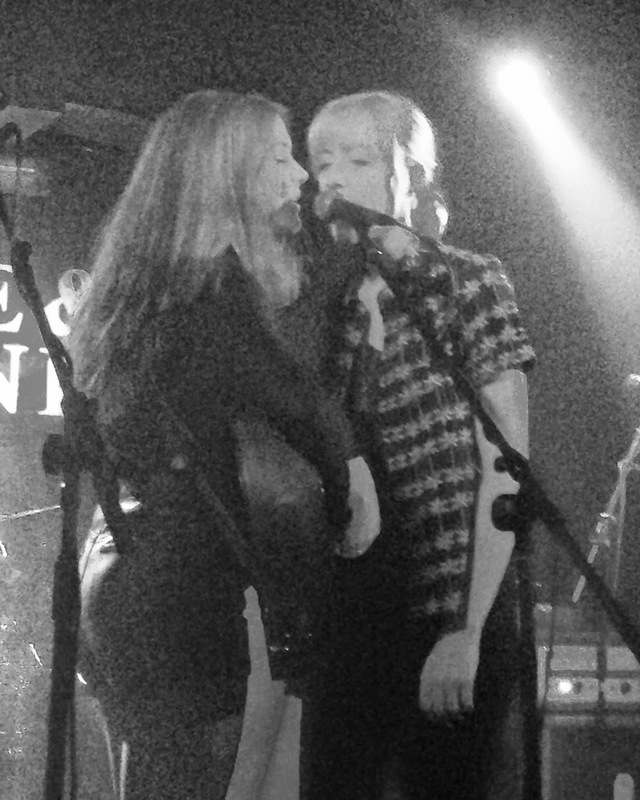 Most of all you leave a Larkin Poe show believing in the talents, sparkle and genuine love of the Lovell sisters. Prior to Megan and Rebecca taking centre stage, Birmingham singer-songwriter Chris Tye played an opening set full of quality songs sung in a striking style which raises the standard from many plying their trade on the local acoustic circuit. A particularly engaging song was ‘New York City Rain’ and there is more than a hint of that city’s folk style in Chris’s sound. He was ably assisted by Jane Powell on supporting vocals and his upcoming release THE PAPER GRENADE is something to look forward to. This new phase of Larkin Poe is certainly pushing the boundaries of their existing fan base but they execute the challenge in a way that complements their talents to ensure the product is finely tuned. The endearing charm of Megan and Rebecca transcends any musical style they adopt and long may they take Larkin Poe on a fulfilling roots inspired journey, unplugged or at full volume.